ALACHUA, Fla.--(BUSINESS WIRE)--RTI Surgical, Inc. (RTI) (Nasdaq: RTIX), a global surgical implant company, today announced the commercial launch of Fortilink-C IBF System with TETRAfuse® 3D Technology. The Fortilink-C system is the first in a family of devices to incorporate RTI Surgical’s TETRAfuse 3D Technology. 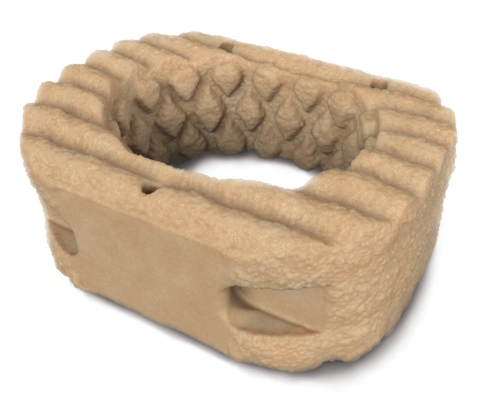 The Fortilink-C IBF System is the first 3D printed polymer-based, cervical interbody device to incorporate macro, micro and nano-rough features on the entire implant surface— not just on the endplate surfaces. The Fortilink-C device is designed to allow bony ingrowth on all implant surfaces while maintaining radiolucent and bone-like mechanical properties that surgeons expect. 1 Data on file RTI Surgical, Inc. Performance data from animal models may not be representative of performance in humans.